First Capital Connect rail routes are now being run by Thameslink railways (also known as Thameslink and Great Northern Railways) since 14 September 2014. If you bought tickets on any of these routes, all tickets previously purchased are still valid. With a range of services connecting London to some of the most popular tourist destinations in the southern part of the country, First Capital Connect was a popular railway operator for both tourists and commuters alike. You can get your train tickets on the new Thameslink and Great Northern Railways routes here. 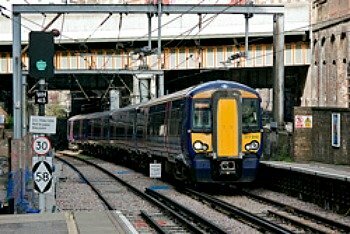 Connecting the capital to Luton Airport and also to the Eurostar terminal at St Pancras adds to the appeal of this varied network, and the available routes spread wide across the country to destinations as far afield as Kings Lynn, in Norfolk, and Brighton on the South Coast. There are numerous connections in the London region with the Underground network making this a versatile and usable network for travelling within the city and surrounding areas, and yet it is also a well used network for holiday destinations. Being a comprehensive service in one of the busiest of all railway regions, FCC had many links and transfers between other networks and hence is able to serve most destinations up and down the UK. We should not dismiss the importance of this network in serving the needs of tourists who want to visit the capital or one of many other popular destinations throughout the region. 1st Capital Connect offered connections to London attractions such as Madame Tussauds, London Bridge and - thanks to connections with the Underground system and Kings Cross station - just about every major attraction across the city. The simplicity of using the company’s online booking system makes your visit convenient and simple. Out of London and the routes available take in many of the most popular tourist destinations in the southern part of England. Cambridge - a city famous for its spectacular architecture and rich history - is one such place to visit and appears on many tourist destination lists, while the likes of Kings Lynn, Fakenham and Burnham Market are beautiful seaside towns with much to offer the visitor. Knebworth, with its spectacular great house and gardens, was another popular stop on the First Capital route and is well worth a visit, while Welwyn Garden City is also worthy of a stop on the way. To the south of London Brighton is perhaps the ultimate south coast tourist destination, offering spectacular beaches and amazing architecture that is a must-see for anyone who loves the Victorian era, while the likes of Sutton, Peterborough and Bedford all provide different aspects of UK towns and are delightful to visit. Gatwick Airport was also served by First Capital Connect and is one of the busiest transport hubs in the UK, and there are plenty of opportunities for reaching Europe and the rest of the world by rail, road and air. Since taking over the franchise to run the former routes of First Capital connect, Thameslink railways, also referred to as Thameslink and Great Northern railways covers most of the former routes plied by First Capital Connect. Use the search box here to get your ticket to any of these destinations. The enquiry system is versatile and offers a best price comparison, and there are many ways of getting discounted tickets. Take advantage of off-peak train travel to reach the capital at a greatly discounted price and look for early booking discounts and offers for groups buying tickets as one. Also, keep an eye open for special seasonal offers that include ten tickets for the price of nine and many more. Thameslink railways, they have hit the ground running with many different special offers to choose from. Travelling on the new carriers is a sensible choice for anyone looking to visit the capital or the southern destinations in the UK.